-The Los Angeles Lakers vs The Phoenix Suns doesn't necessarily ring as one of the greatest rivalries of all time in the NBA, right? Of course not. However, during the 2000s, it became one of the more heated rivalries for the West during playoff time. Before that, the rivalry was off and on, but it still had excitement around it. Today, we look at the rivalry between the two teams and what it meant for both organizations. In the 2000's, NBA fans around the world received a treat with the Lakers-Suns rivalry starring Lakers' own Kobe Bryant & Phoenix's Steve Nash. 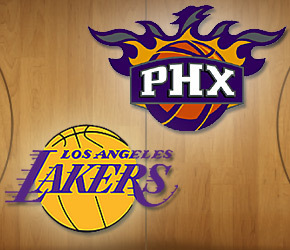 We all know about the 2006 Western Conference playoffs first round between the Los Angeles Lakers & Phoenix Suns. Suns win game 1 only to lose the next 3 with a buzzer beater shot by Kobe in game 4 to take a 3-1 series lead. The Suns came back however, winning the series 4-3. They met again in the playoffs in 2007. Suns beat them pretty badly as they won the series easily 4-1. The real deal however was the 2010 Western Conference Finals. Kobe Bryant & Pau Gasol, vs. Steve Nash & Amar'e Stodiomire. The series went 6 games, with the Lakers winning 4-2 (they went on to win the 2010 NBA Finals against the Boston Celtics, 4-3). Game 5 was the memorable game of the 2010 WCF. Jason Richardson makes a 3 to tie the game, Kobe misses a jumper, and Ron Artest tips it in for the win. Great series, Great rivalry. The rivalry is now dead, as both teams haven't seen each other in the playoffs since, and are both currently in rebuilding mode. 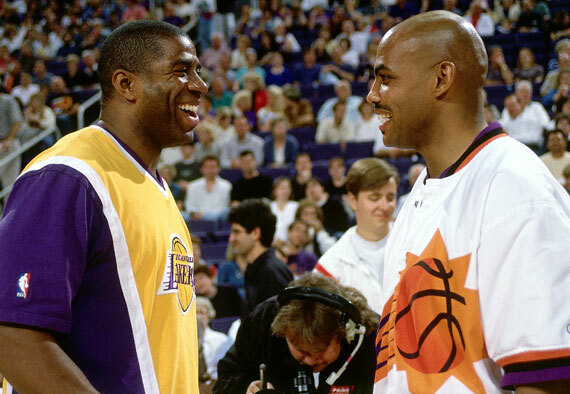 The Lakers and Suns rivalry was something very intense over the years. While many remember the meetings in 2006-2010, the rivalry goes back to before that, with the two meeting in the playoffs. They met in 1990, where the Suns finally upset the Lakers in 5, as well as in 2000, which the Lakers won in 5 on their way to an NBA Championship. However, as I mentioned the rivalry took flight in 2006 where an 7th seeded Lakers team led by Kobe Bryant took on a Suns team, who were considered an offensive juggernaut during the time with 2 time MVP Steve Nash, Amare Stoudemire, and Shawn Marion to name a few. Lakers had a 3-1 lead, but lost that as well as the series in 7 to the Suns. From there, a rivalry was born and you could really tell it through the players as well as the fans. The next year, Los Angeles and Phoenix met where the Suns would defeat the Lakers in 5, however that series would force the Lakers to make changes that would send the them into the next level, as the next season Pau Gasol would arrive to the Lakers via trade. 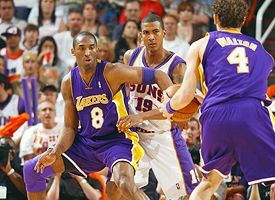 We can’t forget the 2010 series where the Lakers and Suns had an entertaining 6 games which had the emergence of Goran Dragic, Metta World Peace beating the buzzer in game 5, as well as Kobe Bryant reminding the whole state of Arizona why they hated him with his amazing clutch shots. 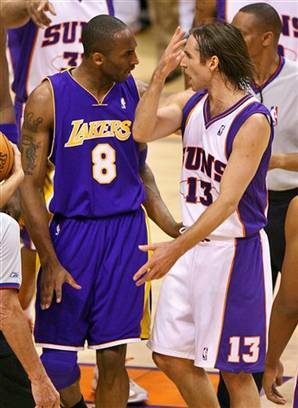 As a Lakers fan, this rivalry in the mid 2000’s made me hate the Suns and their fans. I disliked the Suns because they were the biggest road block to the Lakers moving forward. They reminded me of the Kings, that team who always was a roadblock and the biggest threat to the Lakers. 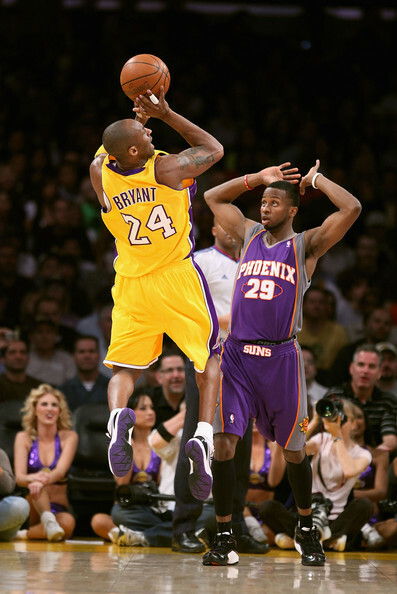 My favorite thing about the Lakers and Suns rivalry was that it was the true introduction of the Black Mamba that we know of today and it jumpstarted the Lakers push to NBA Championship runs. While many would say the Boston series in 2008 taught the Lakers a lot, if it wasn’t for the Suns in 06 and 07, then we probably wouldn’t be talking about the Lakers and the NBA Finals, as well as Pau Gasol in Purple and Gold. There’s still an animosity between the fan bases, as well as Kobe Bryant. I can honestly say that the Suns as well as the Kings are the TRUE division rivals of the Lakers. -The first meeting between the two teams took place in 1970 in the playoffs, as the Suns blew a 3-1 lead back in 1970 to lose to the Lakers in 7 games. That would seemingly be a trend in this rivalry oddly enough, as that would happen later on, as discussed by the team. They had meetings in 1980, 1982, 1984, 1985, and 1989, all won by the Lakers before the 1990 playoffs where the Suns upset the Lakers. Then, as the no. 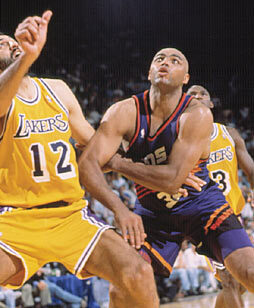 1 seed in 1993, the Suns escaped the Lakers in the first round. Still, this was not the heated time of the rivarly, as the mid to late 2000s would be the main reason why this rivarly is memorable. Aside from a Lakers victory over the Suns in the playoffs in 2000, the rivalry was quiet until we got the Nash vs Bryant battle. I felt like in 2006 that Kobe should have been the MVP and he almost proved me right, as he led the 7th seeded Lakers to a 3-1 series lead over the Suns before a small collapse helped the Suns garner a victory. I often wonder what would have occurred if Kobe led the Lakers beyond the Suns that year and I wish the Lakers could have closed out the series right. 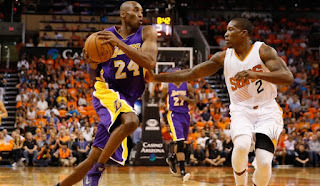 The Suns would go on to beat the Lakers the following year as well, this time more decisively in a 5 game series, but the most memorable series comes from the 2010 Conference Finals. Nash had won MVP awards, but not a championship at this point. 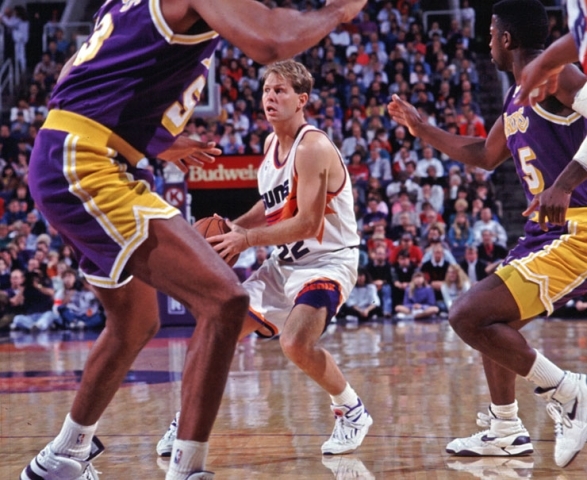 He had led the Suns for many years, and some felt this was the year for him. It was not. The Lakers took a 4-2 series win over the Suns in the 2010 conference Finals and I believe the Lakers in general hold the lead in this rivalry in the playoffs, as the Lakers have won 8 out of 12 meetings in the playoffs since 1970. Will this rivalry ever heat up again? Time will tell. The next generation of the Suns and the Lakers will have to step up in the coming seasons. Regardless, this is still one of the more underrated rivalries from the Western Conference.